The Minha Casa Minha Vida housing program in Brazil works to develop affordable housing for low-income populations consistent with TOD principles. Photo by GOVBA. An essential model for creating affordable and compact cities, transit-oriented development (TOD) is the theme of Nossa Cidade this month. So far, we’ve cover the seven principles of TOD and the economic benefits that TOD produces. Today, we will explore how Minha Casa Minha Vida (MCMV – “My House My Life” in English)—Brazil’s affordable housing program—is transforming current patterns of urbanization in the country. MCMV has been responsible for a third of all low-income housing projects in Brazil in 2013 and is helping bridge the way we think about housing and TOD. 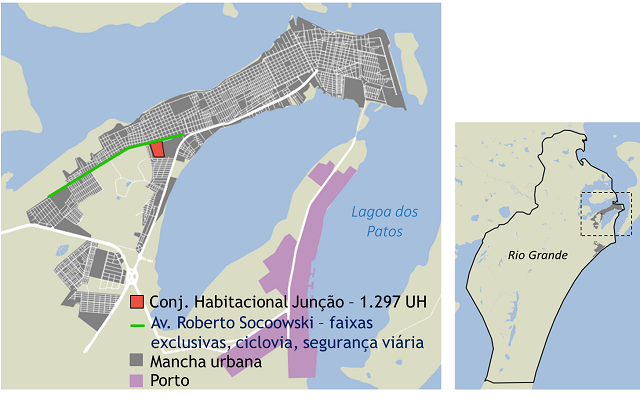 Launched in 2009 by Brazil’s federal government, the MCMV has developed nearly 2.2 million housing units (UH) in five years, with an additional 3.9 million planned. The program is currently in its second phase and a third phase this year is in development with guaranteed funding. 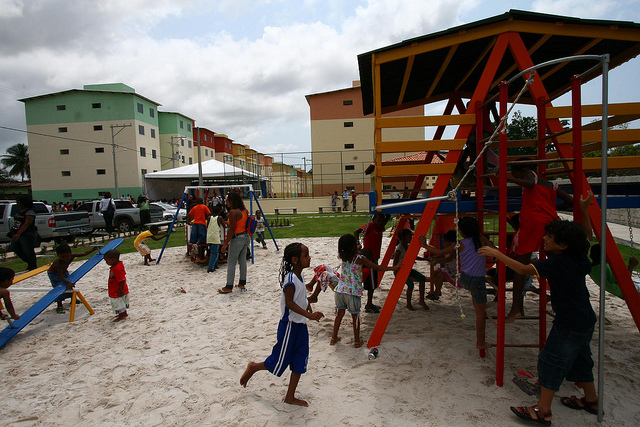 This is the largest affordable housing initiative in the history of Brazil. In addition to reducing the deficit of the country’s low-incoming housing stock, MCMV aims to foster a stronger economy by funding local construction and giving people control over their housing. In addition to a roof over their heads, people need access to jobs and services in order to live well. MCMV is an opportunity for both. First of all, the program enables home ownership. Second, well-planned TOD can facilitate access to opportunities throughout the greater city. However, the challenge is ensuring that the land where these homes will be developed is located close to the city center and well-served by public transit. Making this happen requires dealing with numerous political and economic barriers. Unfortunately, Rio Grande is an exception and not yet the rule. In many Brazilian cities, most development occurs in rapidly expanding residential areas with poor infrastructure, urban services, and transport. Disconnected and distant housing is a burden to both residents and local government. Residents must travel longer distances to access jobs, services, and housing. Local governments face higher costs of infrastructure development and service maintenance—like waste management and public utilities. 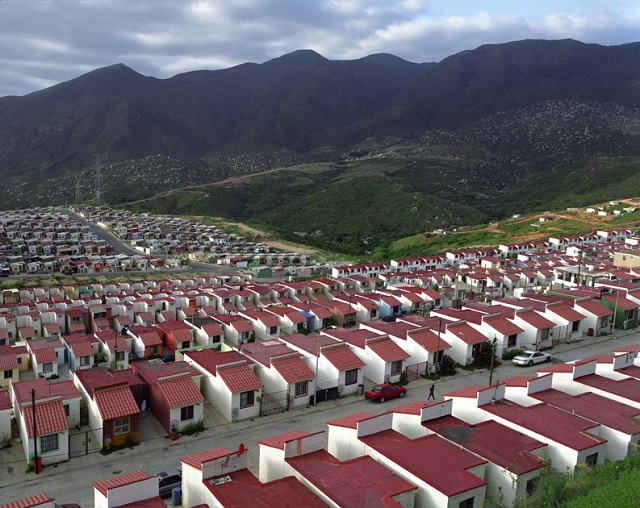 This neighborhood of Ensenada, Mexico is one of many housing developments that is car-dependent and disconnected from vital city services and infrastructure. Photo by Livia Corona. According to the Mexican newspaper Magis, stories like this are common on the peripheries of metropolitan areas throughout the country. Between 2001 and 2011, real estate boomed and developers took advantage of loose housing policies, constructing sprawled housing units that were increasingly distant from jobs and basic services in the city. A “3D” model of urbanization—distant, dispersed, and disconnected—has been the status quo long before MCMV began. The 3D model is the result of both poor urban planning at the local level and market forces and speculation. Cities need to plan properly for growth, and the MCMV program is a great opportunity for Brazil to foster a more equitable urban future and with a high quality of life for all.